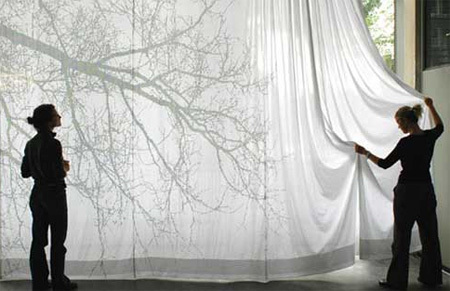 Modern curtains and creative shower curtain designs from all over the world. 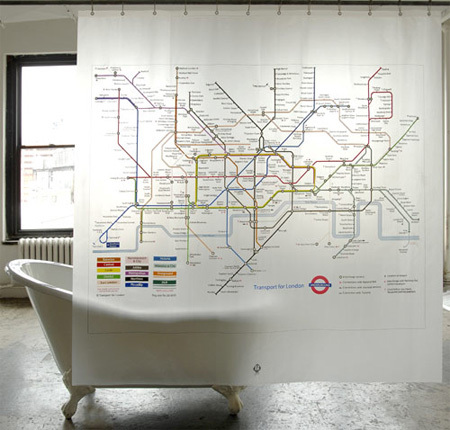 Navigate the Underground from your bathroom or just pay homage to London’s iconic transit system with this cool curtain. 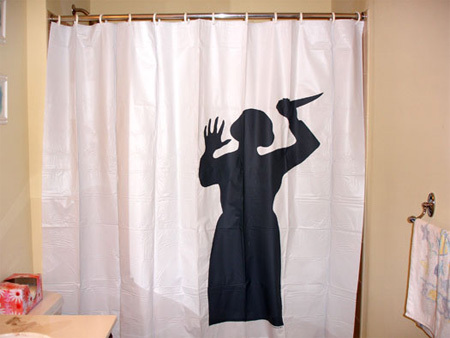 Now the world’s most famous movie scene can be reenacted in your bathroom. 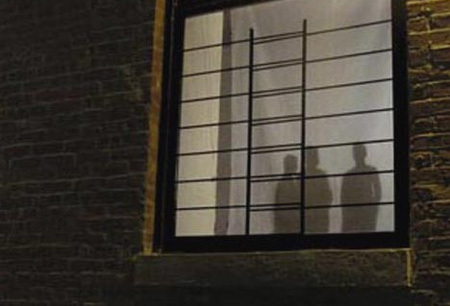 The screen printed silhouettes of people on a white curtain disappear at day time and only become visible at night when you turn on the lights. 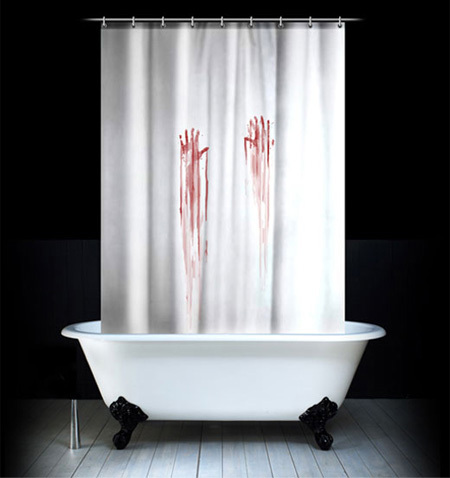 Now you can use a photo or digital image of your choice for your shower made to measure curtains. 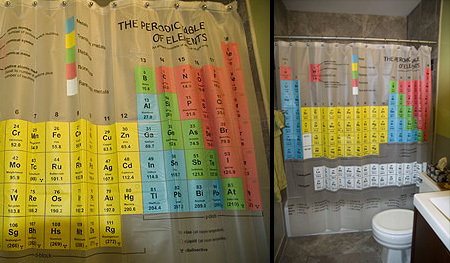 Jog those brain cells with some steaming hot water, and a giant six-foot tall periodic table. 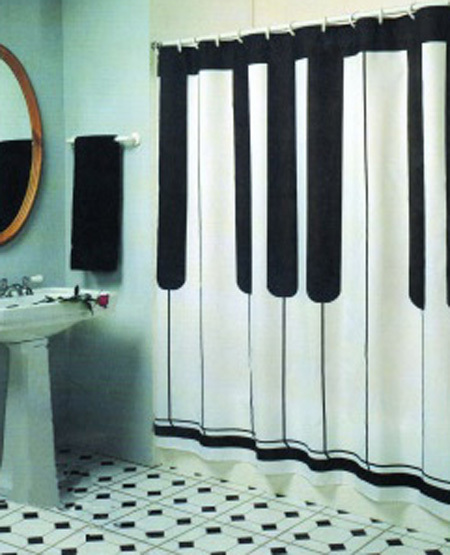 The sleek, classic black and white keyboard design makes this shower curtain perfect for piano, keyboard, and organ players alike. 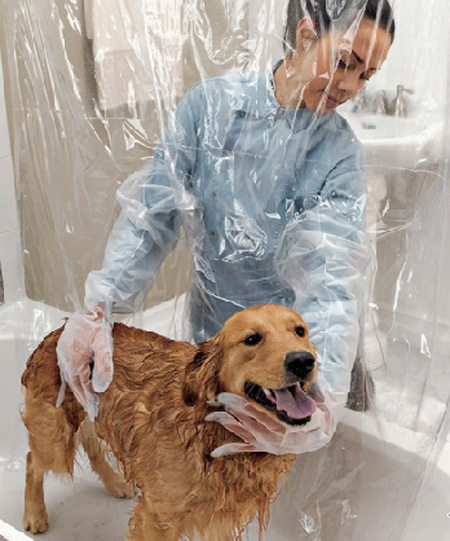 This creative shower curtain makes bathing at home in the bathtub easier and safer for you and your pet. 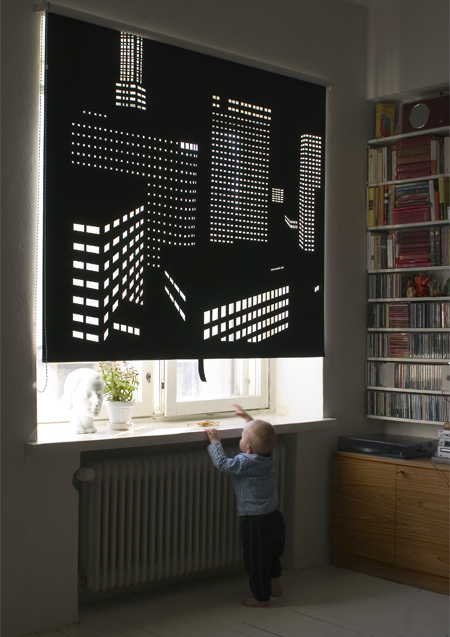 Unique curtain which you can shape to any form. 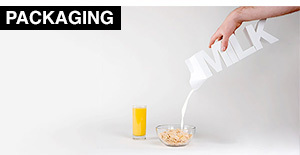 Through the incorporated structure and magnets, it stays in the shape you push and pull it to. 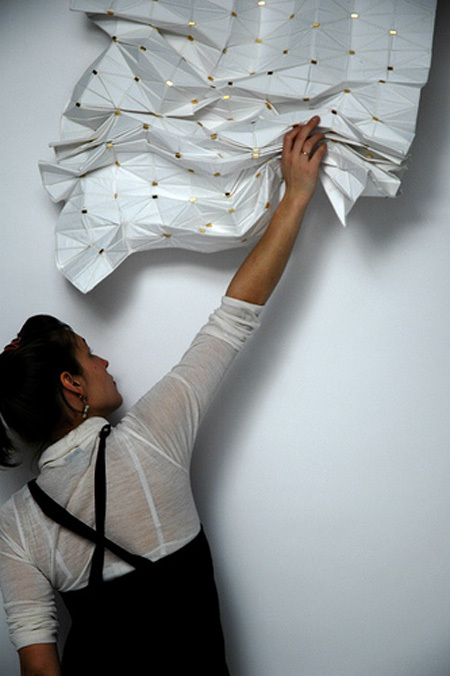 Tri-Part Screen is made from panels of laminated rye straw in resin and acrylic. 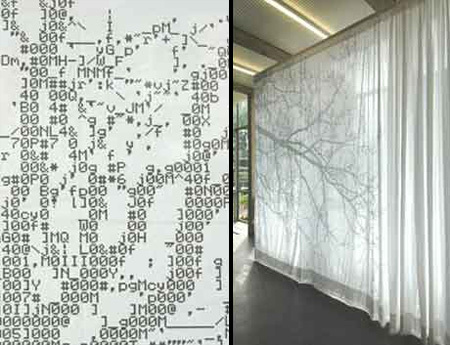 Designed by Nienke Sybrandy, the ASCII code curtains visualize the information network in a tree, using the very codes that represent text in computers. 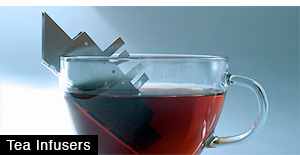 Magnetic Curtain, Rye Straw and teh Better View Curtain are very clever. 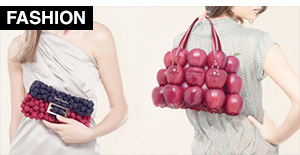 These are some really creative and fun ideas for curtains instead of the usual ho-hum fair in the stores! 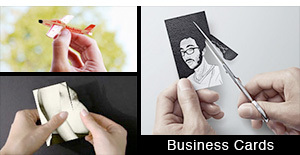 Cool stuff, thanks for putting it all together! 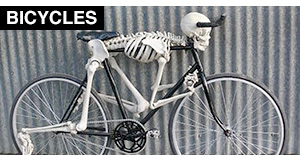 All designs are lovely and help line all Horror romantic love help. 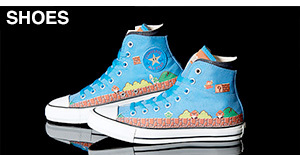 Oh how I cry. Me love long curtain long time! Oh the magic of a curtain. Keep room dry. Keep room dry if you let it. I really think the Rye, Magnetic, Expected and Better View Curtains. I have some nice pictures for those custom curtains that i could use. The pet curtain is awesome! I have a Golden Retriever too, and I think this would be very interesting to try.